Typically, a court order will have been made that deals, at least in part, with the quantum of monthly child support payable by the Payor Parent to the Receiving Parent. The quantum is usually based on the “Table Amount,” which is a table contained within the Child Support Guidelines that bases the child support payments on the Payor Parent’s total yearly income. This amount can only be varied if there has been a change in circumstance that justifies the varying of the Table Amount. 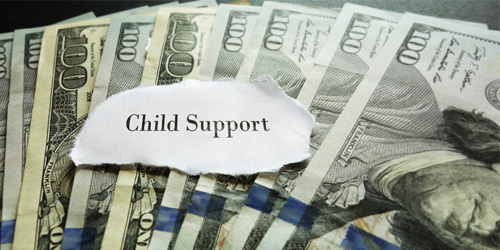 Contained within section 14 of the Child Support Guidelines is a provision that indicates that a judicial order can be sought, and made, if there has been any change in circumstance that would result in a different child support order if it were done from scratch. The most common “change in circumstance” is when there’s a change to the Payor Parent’s income, which then results in quantum of child support payable being adjusted to reflect the Payor Parent’s new income under the Table Amount. However, that is not the only ground upon which the quantum can be varied. Other changes in circumstances that qualify include the Receiving Parent moving to a new residence, the effect of which is to increase the cost of the Payor Parent’s visits with the child, or children. Additionally, if the child withdraws from parental control, finishes their post-secondary degree, or begins spending 40% or more of their time with the Payor Parent, then the grounds exist upon which the Payor Parent can seek to reduce the quantum of child support they pay to the Receiving Parent. 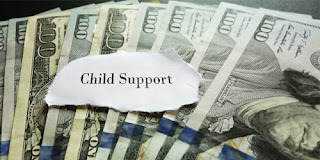 As a general rule, a change in the Receiving Parent’s income or living conditions, such as a new job or a new marriage, will not result in a change to the Table Amount of child support that’s payable. This makes sense, because under the Ontario Family Law, the Payor Parent’s obligation is to his/her child directly, not to the Receiving Parent. It is the child, or children, who have the right to benefit from their parents’ financial wealth, not the Receiving Parent. Therefore, the circumstances of the Receiving Parent do not affect the quantum payable. However, if the Receiving Parent’s income increases, then this may have the effect of changing the apportioning of the section 7 expenses, which are divided between the two parents based on their respective incomes. If you need help filing an application to adjust the quantum of child support payments, please visit LawyerSelect.ca, and they can refer you to a Toronto Family Lawyer who specializes in these matters.